Geneva is not only a hub for diplomacy and global finance, but is becoming a significant destination for fine art and design. G eneva, a lakeside city in the French-speaking region of Switzerland, is home to an impressive grouping of international organizations. 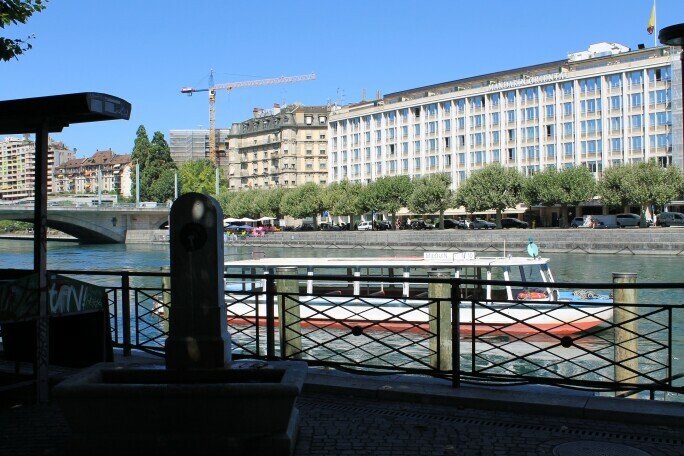 From the United Nations to the Red Cross, Geneva is well-known throughout the world for its prominent institutions. 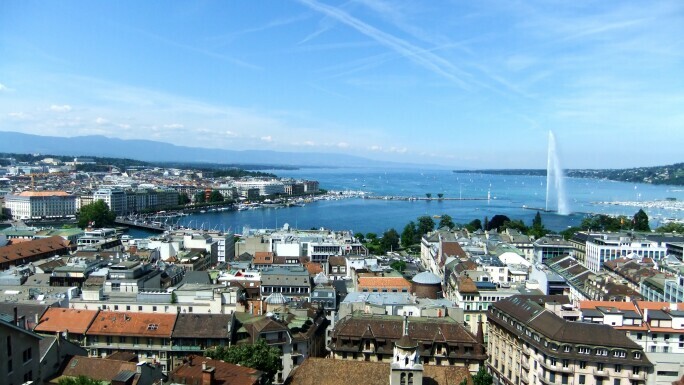 Often referred to as the “Peace Capital,” Geneva , particularly when it comes to jewelry and watchmaking. Indeed, it's a top destination for museum lovers worldwide. 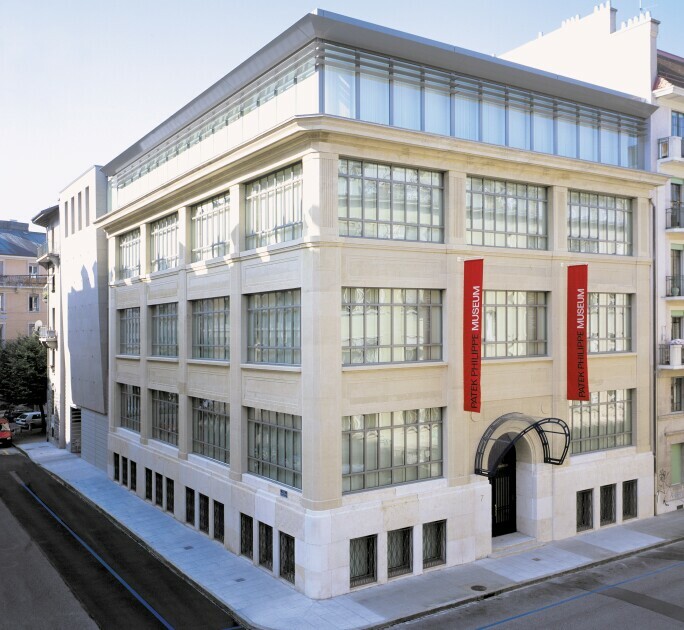 Whether at the newly established Musée d’Art Moderne et Contemporain or the historic Musée Rath, museum lovers will find no shortage of impressive permanent collections and interesting exhibitions. Plus, anyone will be well served to look beyond the frame. 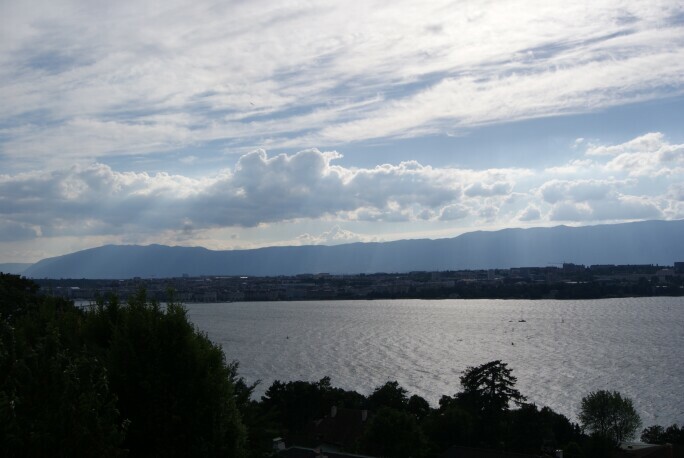 Geneva wraps around the massive alpine Lake Geneva, providing extraordinary views from nearly any street or landmark. Here, Sotheby's Museum Network takes a closer look at museums and the cultural scene in Switzerland's second-largest city. A visit to the stunning Art Deco-inspired Patek Phillippe Museum in the heart of the Planpalais neighborhood is a must for watch lovers, even fans of jewelry and 19th century design. Spread across four floors, the Patek Phillippe collection features some of the most intricate, rare, and valuable watches in the world. The permanent collection is roughly split in two; a presentation of the antique watch collection showcases timepieces dating from the 16th to 18th century, while the Patek Phillipe Collection includes works from 1839 through the present day. The astutely named Musée Barbier-Mueller’s collection originates from the private holdings of Joseph Mueller, a German politician, and Jean Paul Barbier. Focused exclusively on African and Oceanic artwork, the collection places particular emphasis on late 19th and early 20th century masterpieces that influenced Avant-Garde artists in Europe such as Picasso. The presentation is captivating, with beautifully lit galleries and a focused, frequently changing exhibition of a small selection of the overall collection on view at any time, making it an easy stop on a walking tour of the historic district. As the oldest museum in Switzerland, the Musée Rath is a historical landmark in and of itself. Built in 1824, the museum was originally named Musée d’Art et d’Histoire, or Museum of Art and History, and is owned by the city of Geneva. 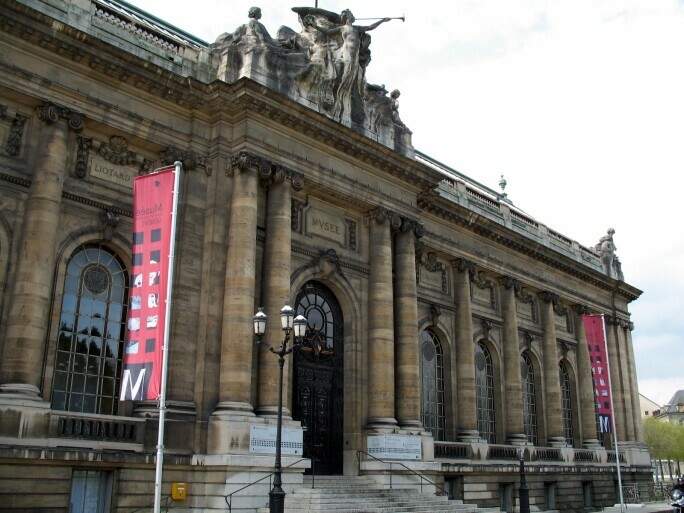 Today, it hosts rotating, temporary exhibitions of Swiss and international art and archaeology. The Musee d’Art Moderne et Contemporain (MAMCO) is the newest and largest museum of contemporary art in Geneva. It is one of Geneva’s most dynamic spaces, with an interior and temporary exhibitions that change at least three times a year. MAMCO is acclaimed for its presentations and retrospectives of contemporary greats, making it a must-see for lovers of Swiss art. The museum offers free entry and complimentary tours on the first Sunday of each month. 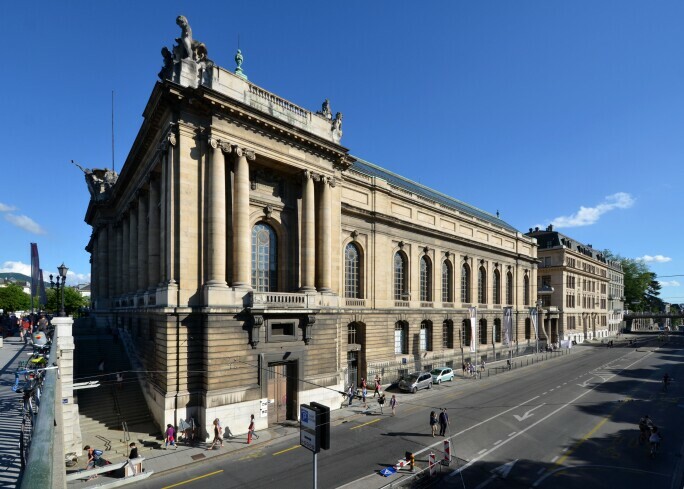 The Fondation Baur, Musée des Arts d’Extrême Orient is located in a late 19th century townhouse and showcases more than 9,000 Chinese and Japanese works of art. Swiss collector Alfred Baur collected these treasures - including jades, imperial ceramics, prints, Netsuke and sword fittings - ultimately assembling a sort of cabinet of curiosities on par with major museums throughout Europe. Be sure not to miss the museum's Japanese stone garden, a zen-like escape in the heart of an already peaceful city. 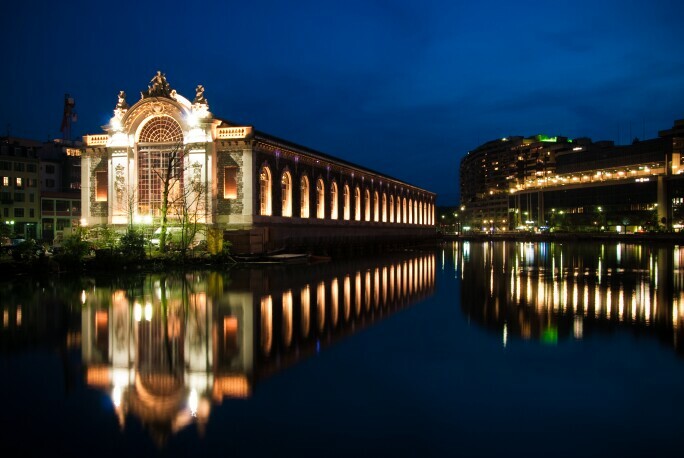 The largest museum in Geneva, Musée d’Art et d’Histoire is located in the city center. The building that now holds the collection was constructed in 1903, however the museum was established in 1826 within the Musée Rath building. The fine art collection is comprised of a vast array of European artists, from Rembrandt to Cézanne, and ranges from the Middle Ages to the 20th century. In addition to fine arts, the museum has a diverse collection of decorative arts, such as weaponry, dishware, and textiles. Les Armures, located at the Hotel Les Armures in the Old Town, is one of the oldest restaurants in the city. 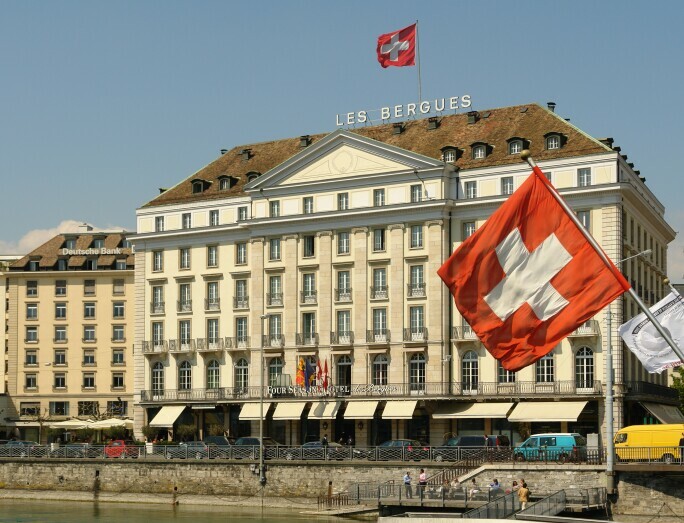 It offers a brasserie-style menu of Swiss specialties and a comprehensive Swiss wine list. The terrace provides spectacular views of the Old Town. Bring a date, celebrate a special occasion, or while away the time over a good Alsacian white. 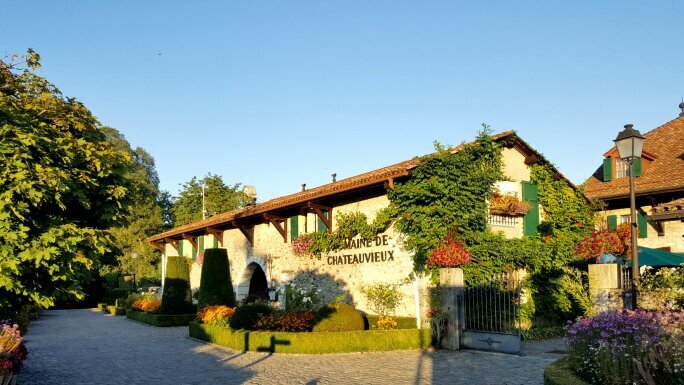 Located 15 minutes west of Central Geneva, Domaine de Chateauvieux is known for its chef’s creative and seasonal cuisine. Architecture lovers will be particularly drawn to its 16th century architecture and all can enjoy the tranquil ambiance. The chef’s table is perfect for a special occasion and the adjacent bar serves well for after-dinner drinks and Havana cigars. Known by many as the best restaurant in Geneva, Auberge du Lion d’Or offers extraordinary views of the lake and streamlined cuisine by chefs Thomas Byrne and Giles Dupont. The restaurant also offers cooking classes for parties of six or eight. Arn Chocolaterie is world-renowned for its large variety of sweets, which guests can enjoy with hot chocolate, or a cup of tea. Its two locations are situated in Place du Bourg-de-Four, only steps away from the Musée d'Art et d'Histoire, and on Rue du Rhone. 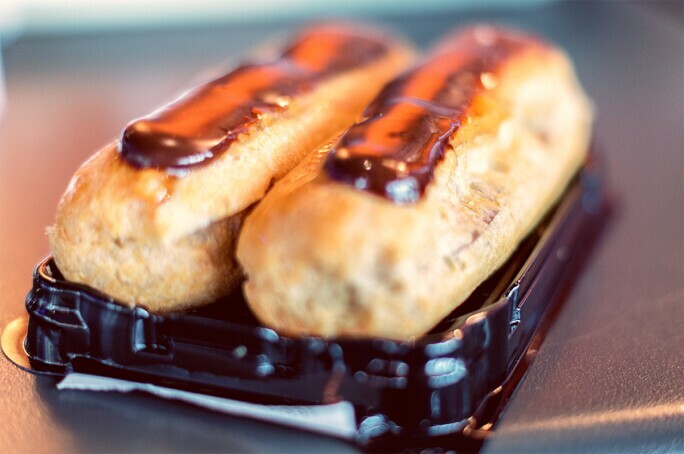 The signature dessert is dark chocolate with orange, or the Plaque Grand Cru, a classic, traditional chocolate bar. The café Le Barroco is situated in the largest museum in Geneva, Musée d'Art et d'Histoire. Visitors may peruse the museum's large collection and later head to Le Barroco for lunch or tea. Diners are surrounded by works of art and are able to enjoy their food while dining in the terrace courtyard. The Mandarin Oriental’s Geneva outpost is a luxury hotel in the Saint Gervais neighborhood. It has luxurious guest suites, and three restaurants, including Rasoi by Michelin starred chef, Vineet Bhatia. Guests can borrow electric bicycles for touring around the city, and partake in the hotel’s “Happy Suite Diamonds” which can grant them access to visit Chopard’s private atelier. The Four Seasons Hotel in the heart of the city has been a landmark since 1834. Pierre Yves Rochon designed its interior, which visitors can appreciate along with remarkable views of the lake. 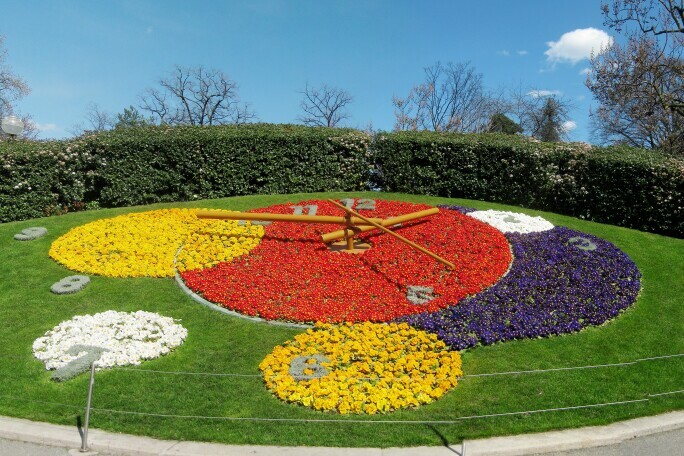 The Flower Clock or “‘L’horloge fleurie” was created in 1955 as a tribute to Geneva’s watchmaking tradition. Its appearance varies, depending on the time of year, as landscapers use seasonal flowers to create the floral installation in the Jardin Anglais. 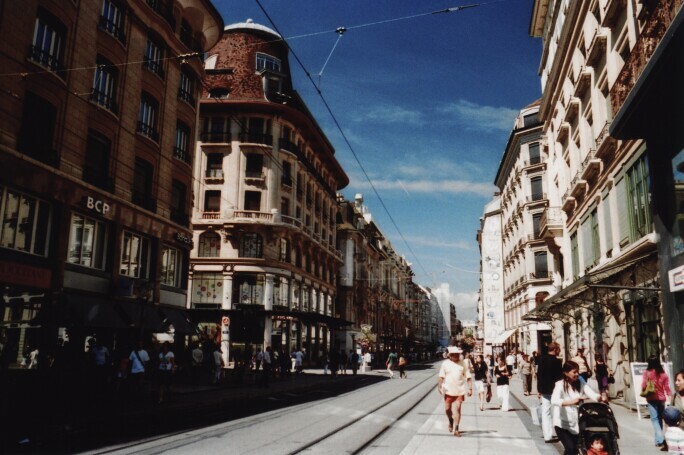 Rue de Rhone, in Geneva’s Old Town, features the biggest luxury brand names in watchmaking, jewelry and fashion. 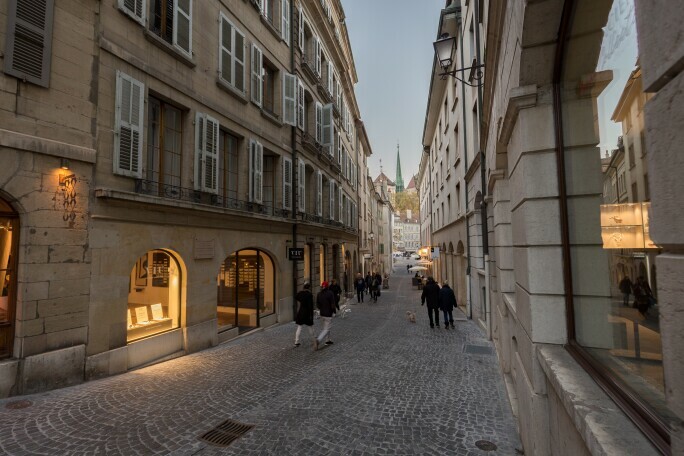 Jewelry lovers will appreciate boutiques by Chopard, Bulgari, Cartier, Tiffany and Patek Phillippe, among others, and can drop by a Swiss chocolatier for a mid-day or afternoon bite. 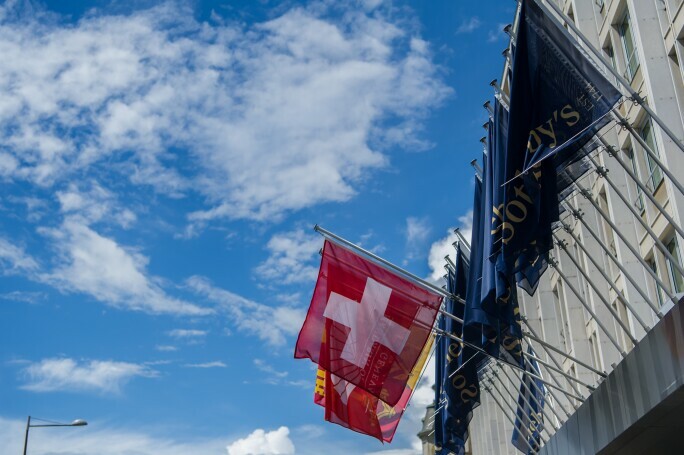 Sotheby’s Geneva office holds exhibitions taking from global auctions, bi-annual sales of Jewelry and Watches and occasional sales of Swiss art. Significant collections include the jewels of the Duchess of Windsor, Von Thurn and Taxis family, and Bourbon Parma family.